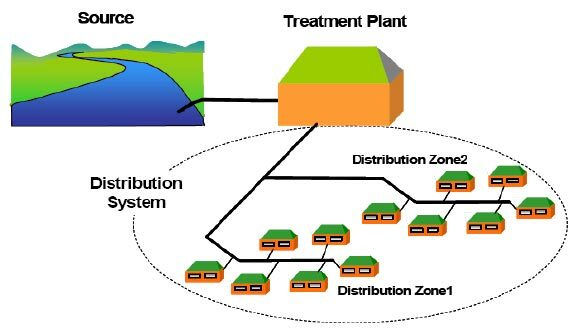 Operation & Maintenance Of Distribution System. 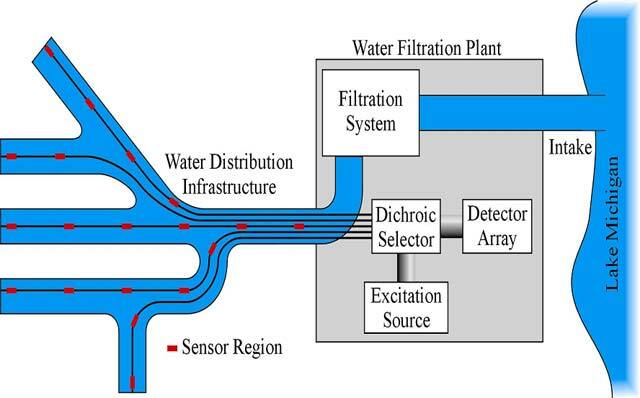 A water distribution system is not just pipes and valves, but rather like a living organism — a dynamic, sensitive, complex entity that must be operated properly to maintain safe and good quality water at the customer’s tap.To be reliable, a water distribution system should be designed, maintained and operated to meet both public safety and public health requirements. Public safety requirements are those associated with sufficient quantity (peak demands) and adequate pressure for normal use. Public health requirements are those associated with meeting all drinking water regulations and as well as customers’ satisfaction regarding aesthetic quality. In summary, the reliability of the distribution system may be gauged by its ability of deliver a sufficient quantity of safe and good quality water under adequate pressure to the customers at all times. Instituting a valve and hydrant exercise program.